comprised of mirrored tiles. 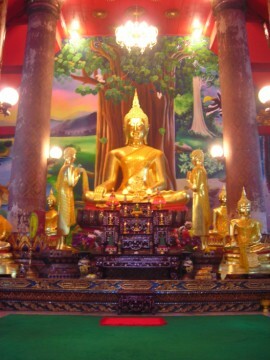 The altar is adorned with seven golden Buddha images. 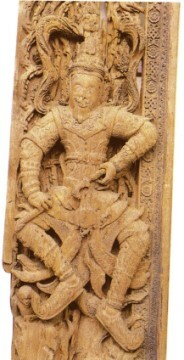 Buddha images have been folded into its shape. 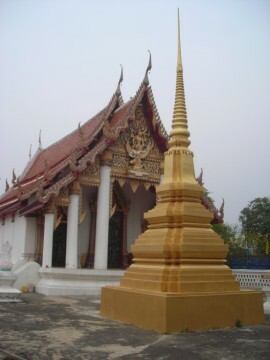 chedi and the ordination hall. 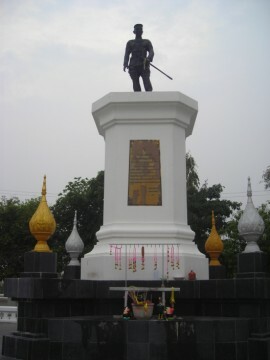 Several statues of elephants have been placed around it. construction that could have been a chedi. These structures are viewable from the canal. 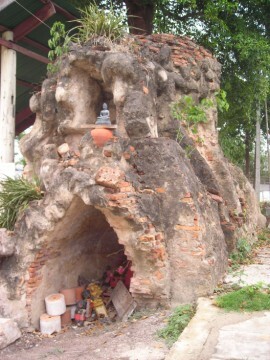 been constructed in front of the ordination hall and is facing the road. 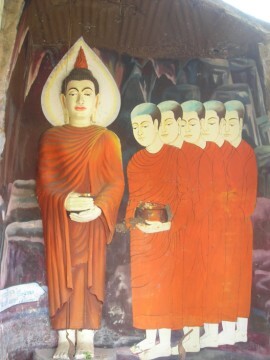 ordained as a monk at Wat Kudi Dao, where a highly esteemed delivered his sermons. important bird refuge for the city. 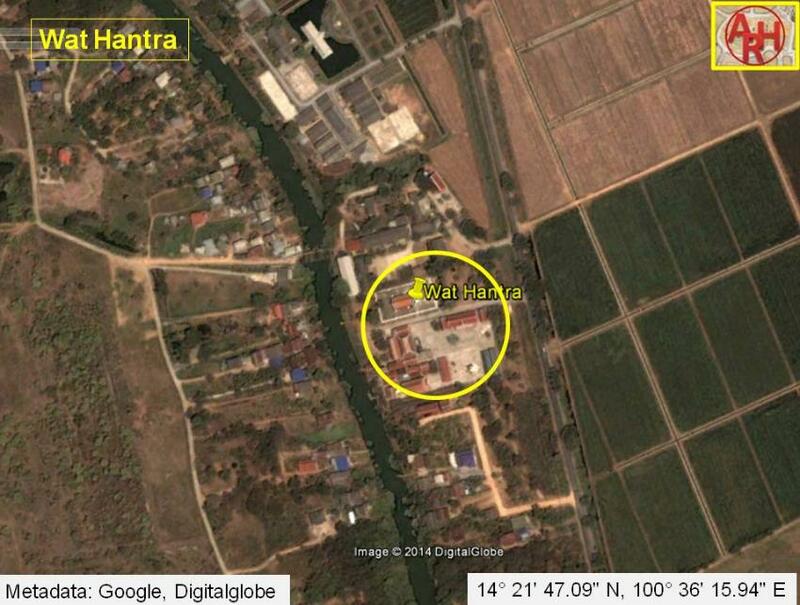 army], retreated and went back. 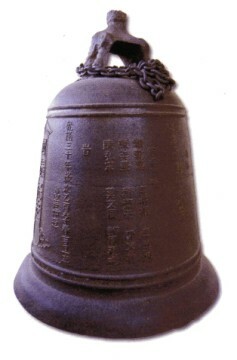 bells can be admired at the Chan Kasem Museum in Ayutthaya. 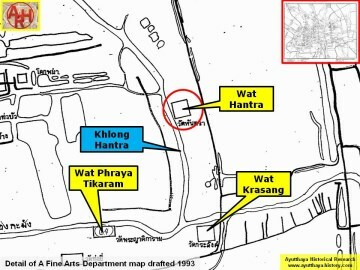 Wat Hantra is located in Geo Coord: 14° 21' 47.09" N, 100° 36' 15.94" E.
Source: Royal Autograph - Dedication of the Monastery of the Division of the Seal. Ibid - page 514 / Taksin Decides to Flee to the East.